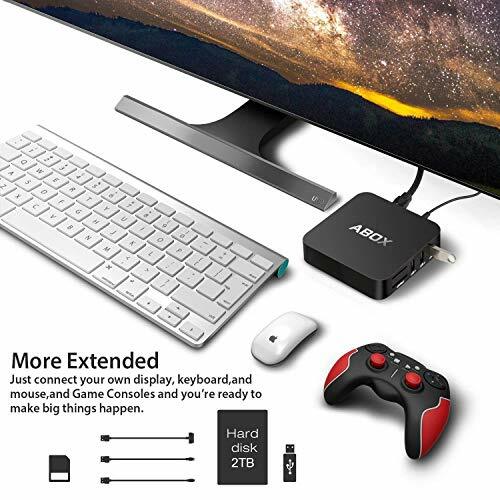 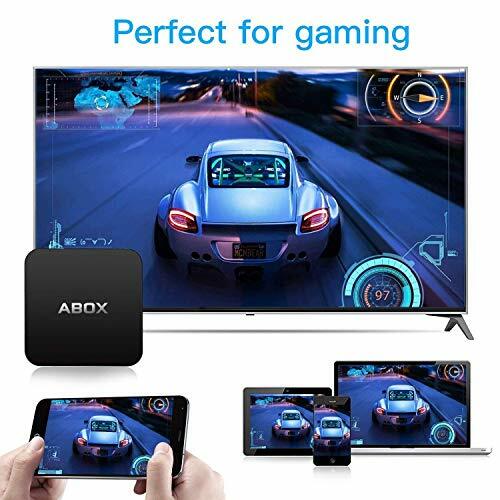 ❤ Originally from GooBang Doo, 2018 GooBang Doo ABOX Pro Android Box has Newest Amlogic Quad core ARM Cortex-A53 & 64 bits CPU & Advanced WIFI Chip which makes your tv box runs faster than other boxes on the market! 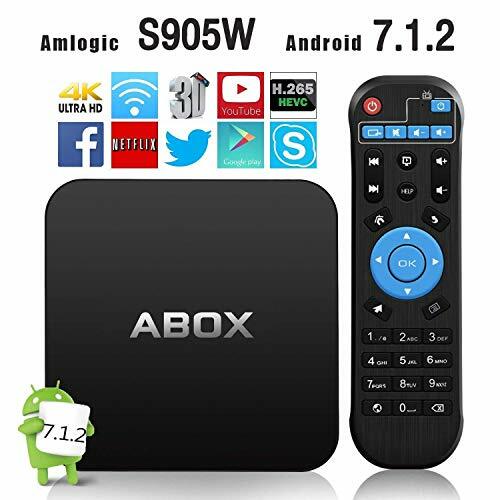 ❤ Comes with Android 7.1.2 operation system which makes sure the box runs stably and smoothly to load movies, pictures and games without buffering. 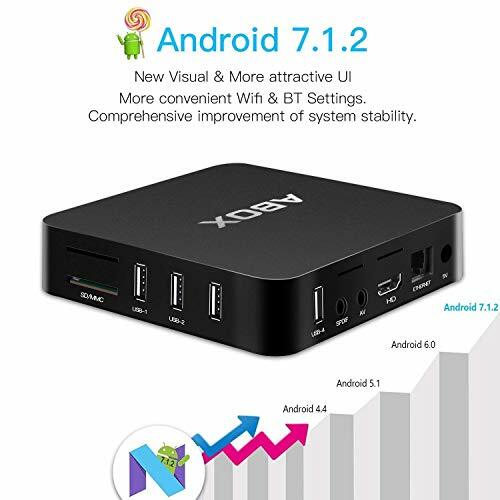 More effcient, safer and faster than Android 6.0. 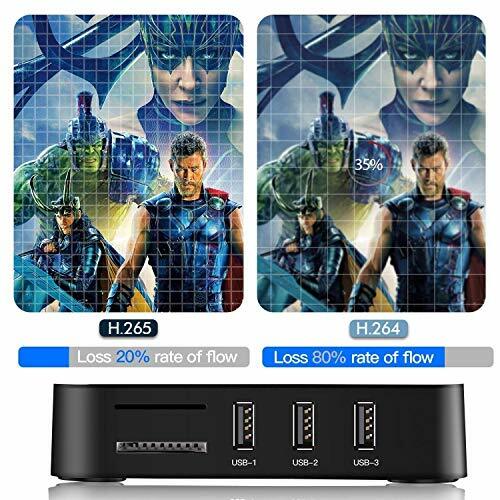 ❤ Powerful H.265 hardware decoding can save 50% bandwidths resources and provide 4K Ultra HD image. 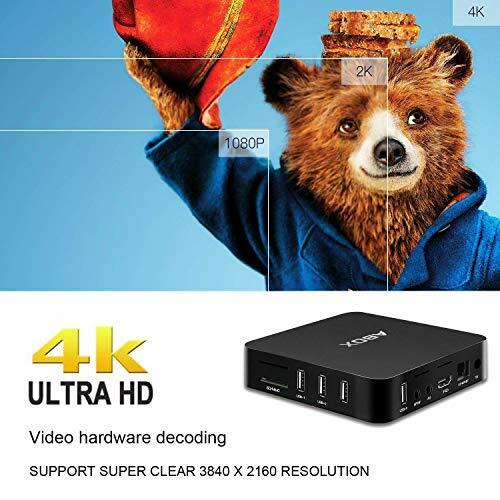 Excellent video processing capabilities offer you the extreme visual feasts. 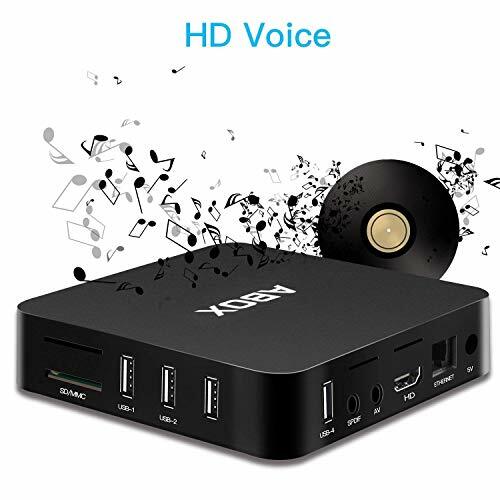 It can be used to play almost all popular audio and video formats. 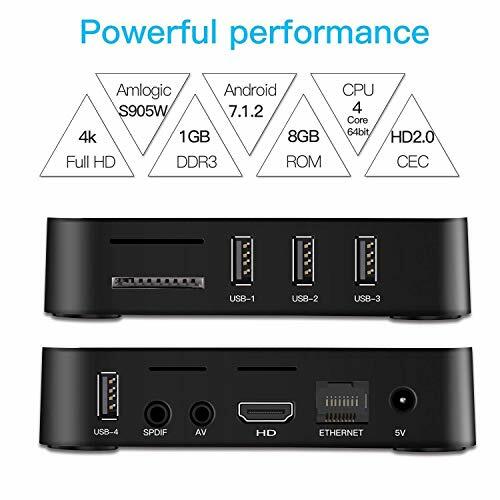 ❤ Equipped with IEEE 802.11b/g/n wifi, 2.4GHz and 128G Max Extended Capacity gives you more space and caches to enjoy your leisure time. 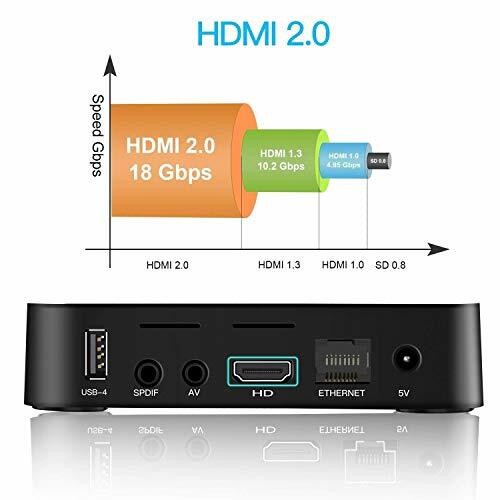 ❤ Unique brand new HDMI cable 17+1 unlike others 15+1, supports to play 4K source with fastest data transmission; GooBang Doo safe adapter with power magnet: It can help suppress rush currents efficiently, so that static electricity is released slowly.